Turbo Tax Enters a New Era with Tax Software Changes and Software wars get tough with tax time soon beginning. 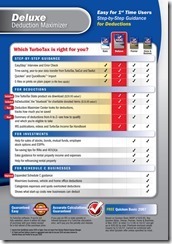 Mouseprint an affiliate of Consumer World.org informed Turbo Tax users that Intuits product, Turbo Tax Deluxe, so popular with filers is changing. 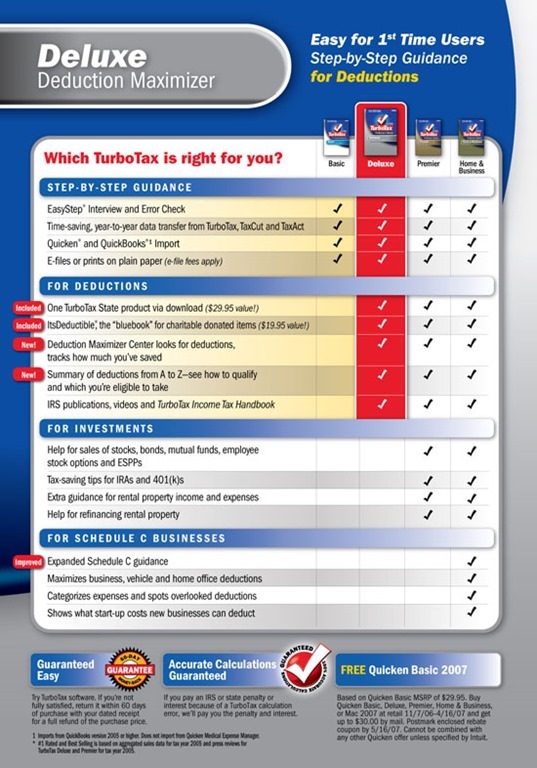 The schedule C (self-employment), Schedule E (Partnership Income-Rental) or Schedule D (Investment) no longer exist in Turbo Tax Deluxe. Customers now need to upgrade to the "Premier" editions and above. The founder of ConsumerWorld.org, Mr. Edgar Dworsky expressed the change as a "Clever ploy." Take away what people consider essential, and set a higher price. The surprise from users might prove quite interesting. Some will only realize the difference while working on their taxes. Tax preparation for many people is stressful and this change will not be met with open arms.